I first tried this cake last summer. 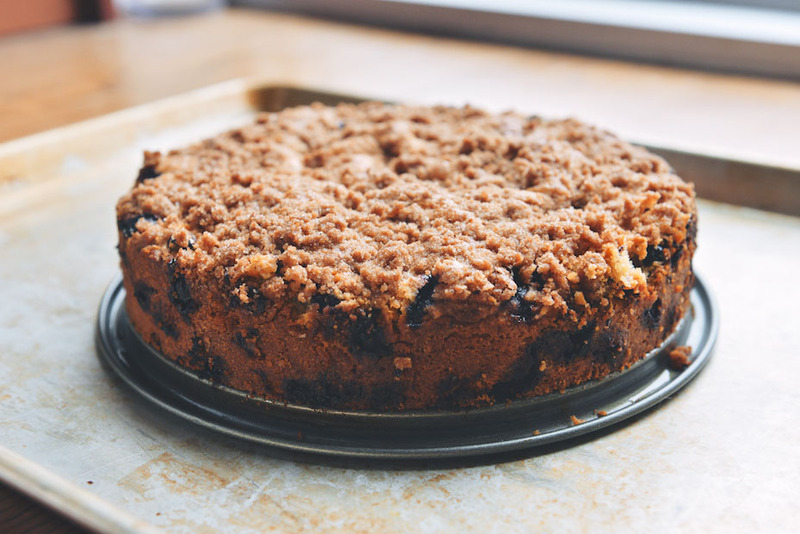 It’s wonderful–my crumb cake plantonic ideal. 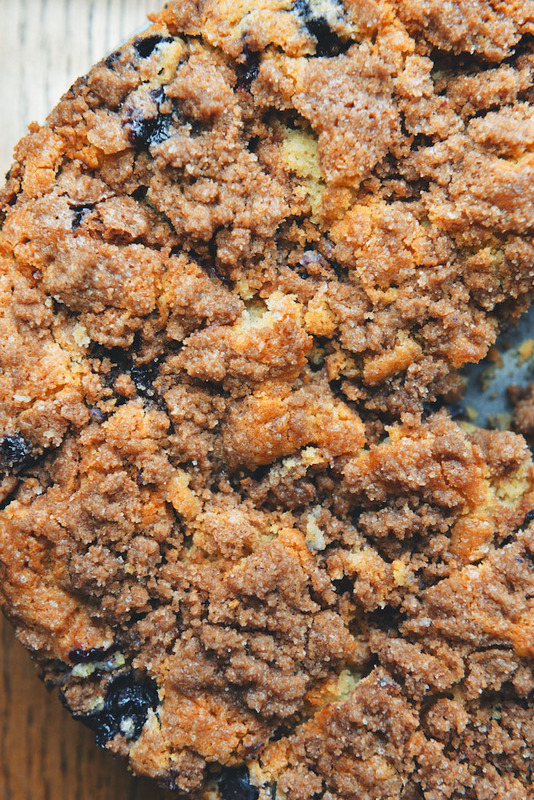 The inside is dense, moist and flavorful. 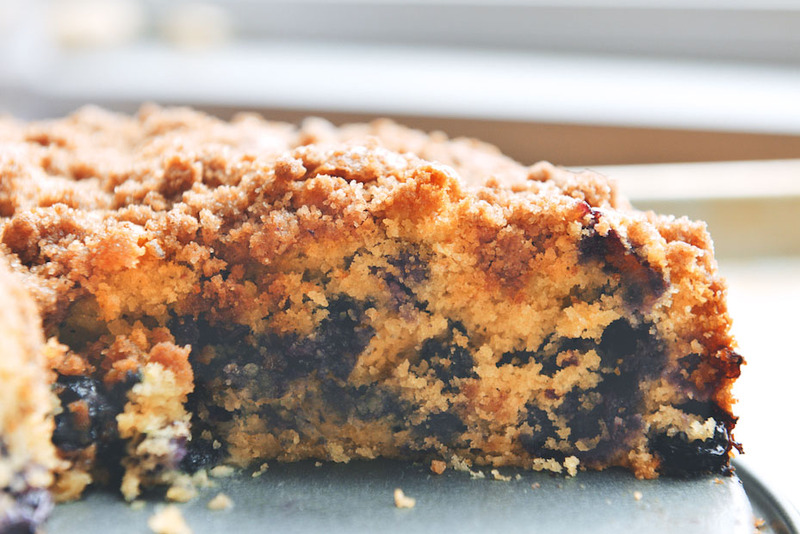 Each bite is studded with sweet, earthy blueberries. 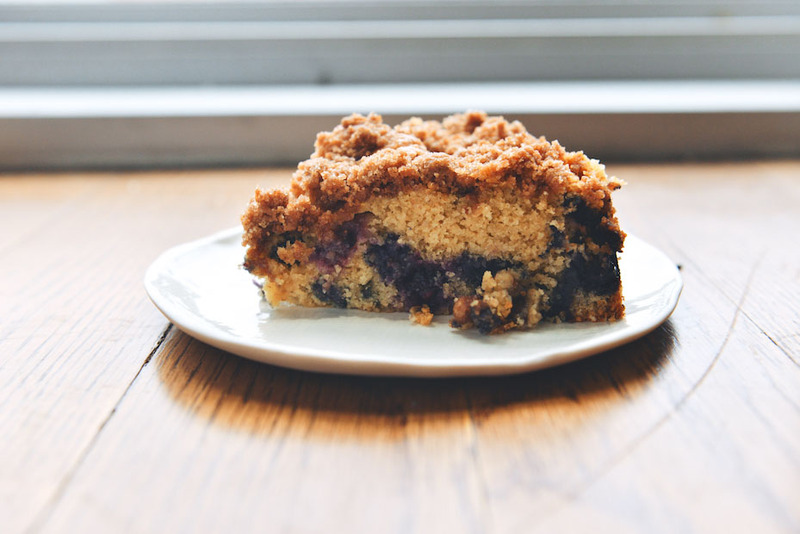 The recipe is barely adapted from Smitten Kitchen’s Blueberry Crumb Cake. *A note on the flour: Deb reached 240 grams of flour with 2 cups minus 1 tablespoon (i.e. 1 3/4 cups + 3 tablespoons). For me, 240 grams came to 3 cups + 3 tablespoons, since I scoop very loosely packed cups. The “standard” comes to 2 cups minus 2 tablespoons. In a medium-sized mixing bowl, whisk together the flour, both sugars, the cinnamon and salt. 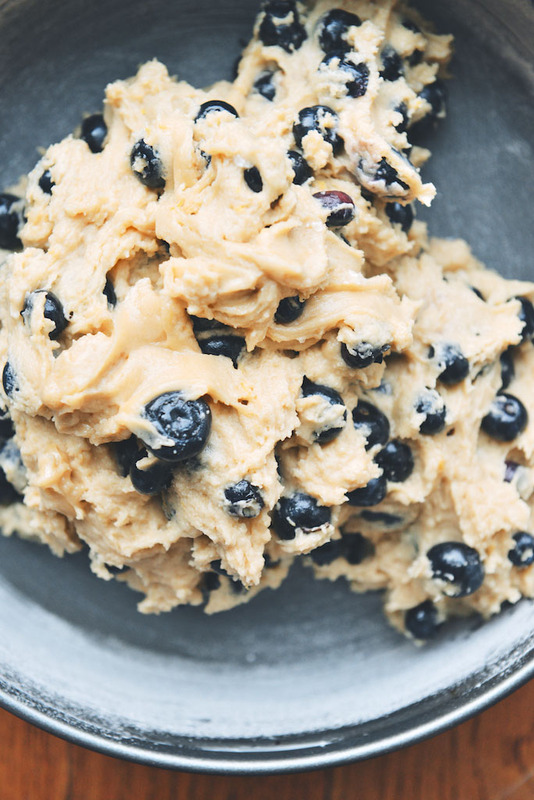 Add the butter to the bowl–using your fingers, pinch the butter into the dry mix, until you have coarse crumbles. Set the bowl aside. Heat the oven to 375F/190C. Grease and flour a 9-inch springform pan; make sure the sides rise at least 2-inches. In a large bowl, using an electric mixer on medium speed, beat together the butter, sugar, and lemon zest until fluffy; 3-4 minutes. Add the egg and the vanilla; mix to combine. On low speed, alternatively mix in the dry ingredients with the milk and oil. (So: 1/3 dry ingredients + 1/2 milk and oil + 1/3 dry ingredients + 1/2 milk and oil + 1/3 dry ingredients.) 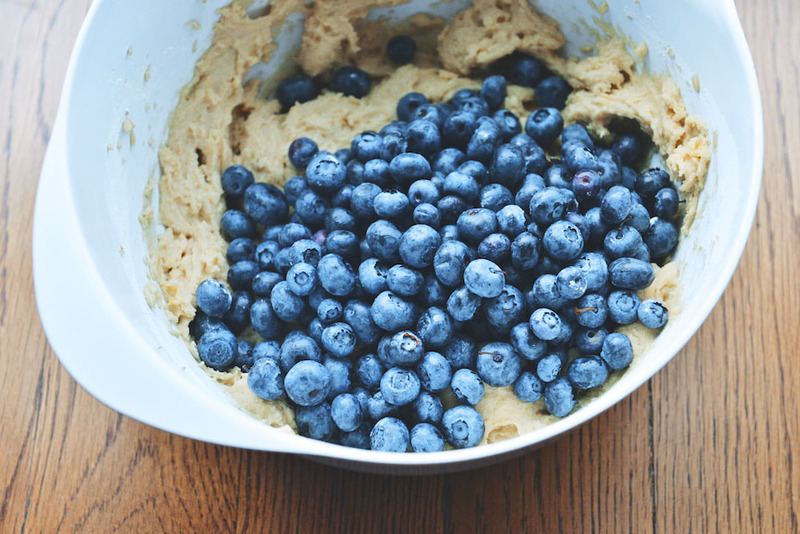 Lastly, fold in the blueberries, until evenly distributed in the batter. Spoon the batter into the prepared pan, and smooth the top flat. 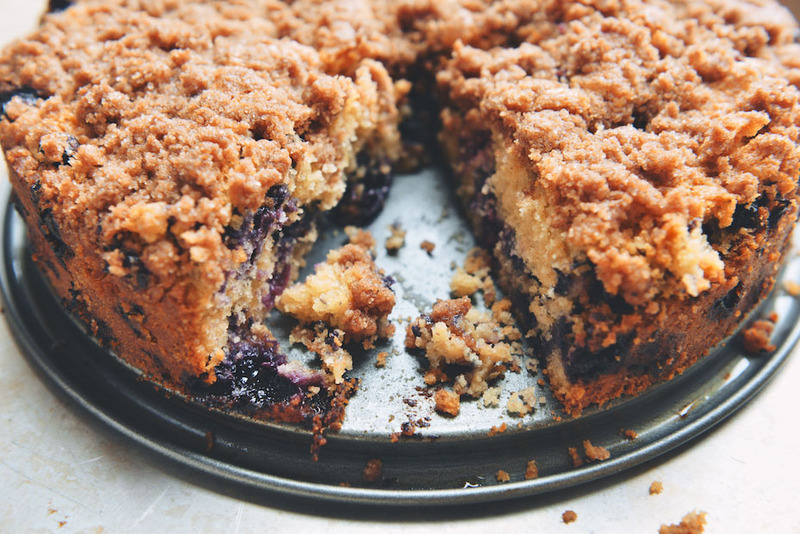 Scatter the crumble topping evenly over the surface of the cake. 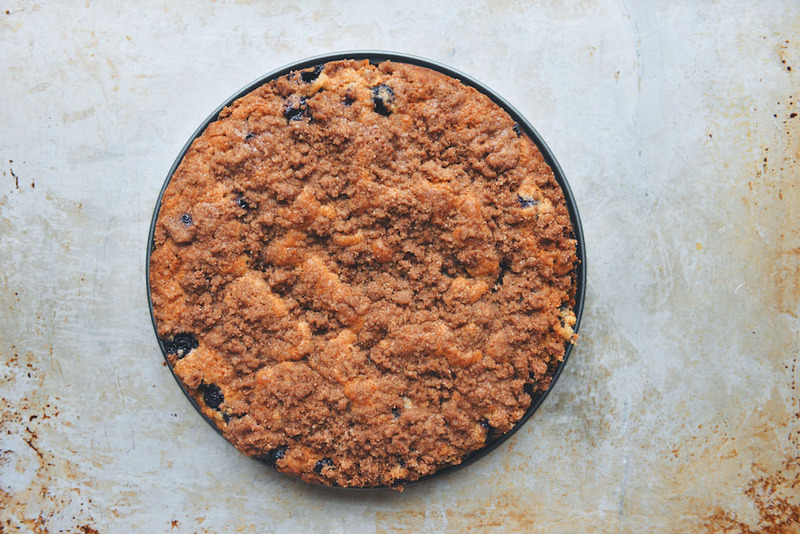 Bake for 40-50 minutes, or until the crumble is golden brown and a knife comes out clean. Cool the cake for 30 minutes. If using, sift confectioners’ sugar over the top of the cake before serving. Waouh! 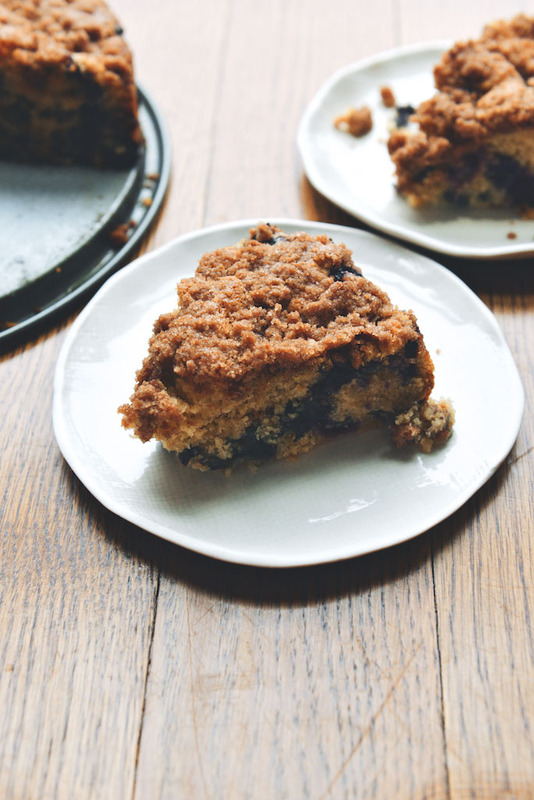 What a breathtaking blueberry cake! 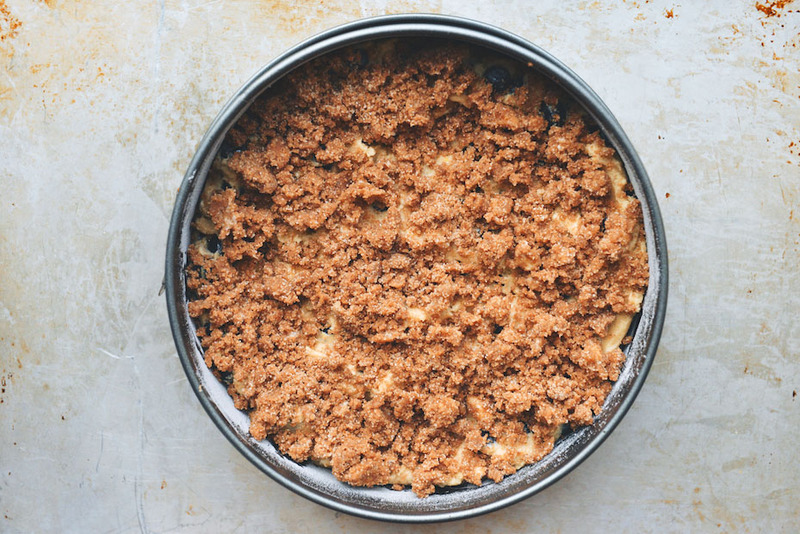 You and Deb really outdid yourselves with this recipe. Oh my gosh! How absolutely fabulous does this look! 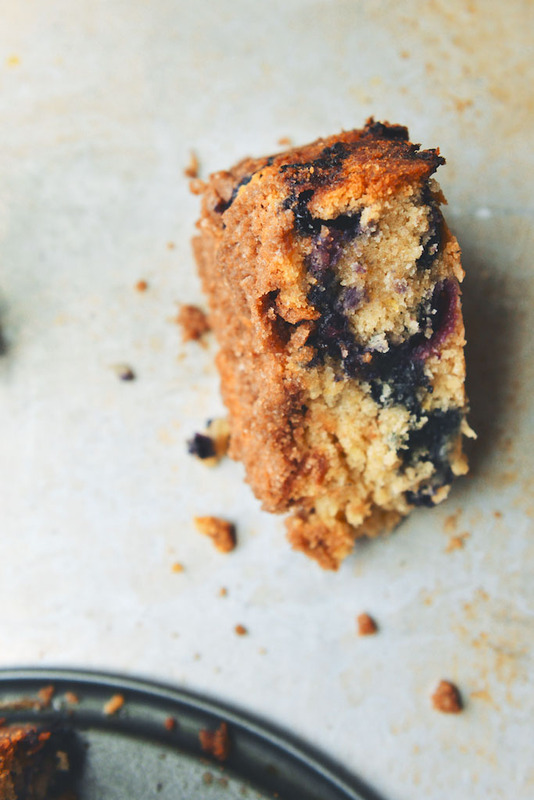 I love blueberry baked goods! 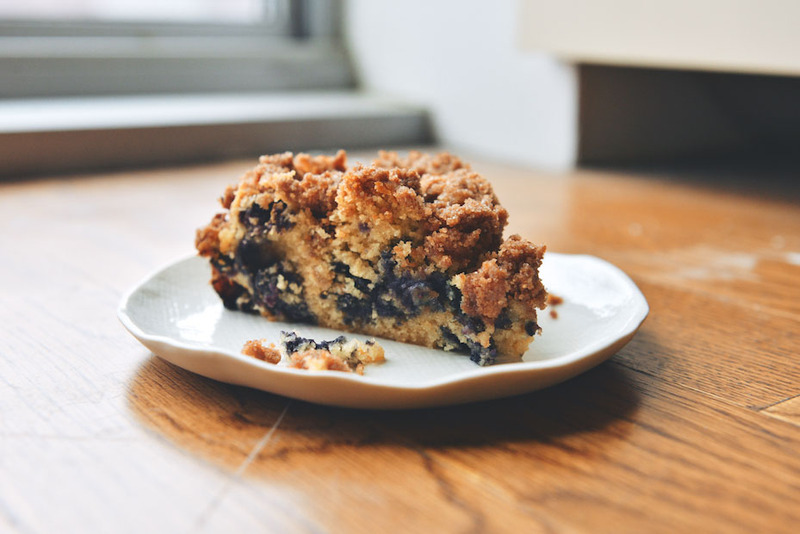 Did you leave some of that blueberry crumb cake in the fridge??? I’m intrigued by your travel outfit – what brand is the dress?! Hi Olivia. It is Club Monaco. Is it baking soda or baking powder!? The. Recipe directions call for baking soda. Eep! Thanks for pointing this out, Emmy. So sorry the recipe was confusing.